Please review the 'Eligibility for Adding a Business Listing' before registering your business or organization on the SFNS Business Directory. Business/organization listings will be reviewed by an administrator before being published. If you have any questions, please feel free to contact us via the Contact Page. Description - Please select appropriate business/organization category from the drop-down list. Description: Name of SFNS First Nation community, which business/organization owner(s) are a member. Description - One brief sentence that describes what your business/organization does. Description - Detailed paragraph that describes the products/services that you provide. You need to create an account on the site. Please fill out the form below. Before registering your business or organization with the SFNS Business Directory, please review the following 'Terms and Conditions' to ensure your business/organization is eligible to be listed. To be added to the directory, your business/organization will have the following criteria. All directory listing submissions will be reviewed for eligibility before being published. - Owner(s)/Director(s)/Founder(s) are Member(s) of a SFNS First Nation community: Aamjiwnaang First Nation, Caldwell First Nation, Chippewas of Kettle & Stony Point First Nation, Chippewas of the Thames First Nation, Delaware Nation - Moravian of the Thames, Munsee-Delaware Nation, and Oneida Nation of the Thames. AND - Business/Organization is First Nations/Aboriginal/Indigenous owned (defined as having 51% or more ownership). The following types of businesses are NOT eligible for the SFNS Business Directory: - Non-Indigenous businesses/organizations. - Businesses or organizations that do not have an affiliation with an SFNS member First Nation community (i.e. 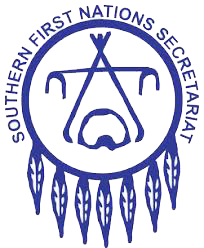 owner of business does not hold membership to an SFNS member First Nation community). If you have any questions regarding our Terms and Conditions (or whether you are eligible to add your business or organization to our business listing), you may contact us via the Contact Page on this website.